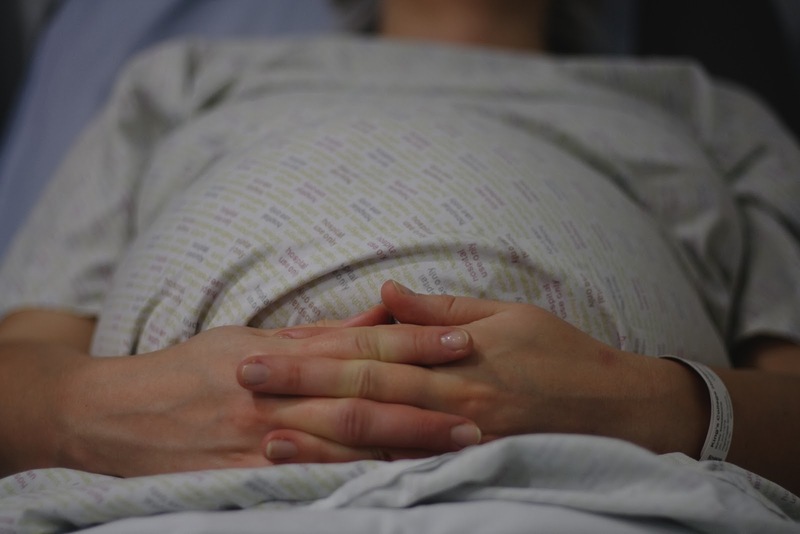 The NHS National Maternity Review has called for women to have more choice and greater continuity in their maternity care – yet it was very quiet on some of the choices many women want or need. So what does choice really mean for pregnant women and will the options recommended in the review ever be available to all? Last week the UK National Maternity Review published it’s findings. The reactions I’ve seen in the media and online have ranged from tearful delight that more women will supported to have home births to accusations that the authors will have blood on their hands. The Report makes a number of recommendations and at this point that is all they are, recommendations. The devil may be not so much in the detail as the delivery (if you’ll forgive the potential pun there). But the bit that made the headlines and has sparked the most debate and confusion is the proposal that women should be given a £3,000 budget to buy their maternity services. This is being touted as a great step towards giving women more choice in their maternity care, allowing Mums to select their antenatal, birth and postnatal support from a range of local providers who will work with, but not necessarily for, hospitals. This could include private (independent) midwives and new NHS midwifery practices operating out of community maternity care hubs. The report also champions choice in place of birth, calling for all women to have access to Midwife led birthing centres and home births (This is already recommenced by NICE but a large number of women still don’t have all these options in their area). What do we actually mean by choice? The choices talked about in the report all seem to lean towards one end of the childbirth spectrum – home birth, independent midwives, Midwife led units, some of the media reports extended this to suggest hypnobirthing and the cost of at home birthing pools could be covered by the £3,000. I have nothing against any of those choices and once upon a time may have made any or all of them for myself, but these are not the only choices that a woman can make. Sometimes they are actually the choices she can’t. The report makes no mention of Caesarean sections, other than to highlight the work of a network which keeps tabs on hospital trusts based on, among other things, their C section rate (something the WHO warned specifically against). It also makes only a few passing comments about pain relief. Saying vaguely that women should be informed about it’s availability when choosing their place of birth (epidurals are not an option for home births or most midwife units). But these things, and many others are also choices, or at least i think they should be. Certainly there are risks and drawbacks to them, I’ve had two C sections and I wouldn’t recommend it, but sadly none of our choices when it comes to childbirth are risk free, if women are capable of weighing up the pro’s and cons of a homebirth, why not a surgical birth? If they can opt for water to ease the pain, why not drugs? Can we really call it choice if only certain choices are ok? This of course goes beyond just where and how we give birth. Women’s broader reproductive choices are still legally or subtly limited around the world. Ireland, a western European country, still won’t allow abortion, even when it is known a baby will not survive. Women are forced to carry to full term a child they know they will never take home. In America employers can refuse to fund contraception on religious grounds and women might even face prison if they miscarry but are suspected of having bought abortion pills online. Either women’s bodies are our own or they are not. Truly supporting choice should mean supporting all informed decisions not just those that someone other than the mother has deemed to be correct. Correct choices for women seem, almost always, to be those perceived as natural. Often they are also those that appear to involve pain and hard work. The idea that men would never cope with childbirth, and would have invented a better option by now if they had to do it, is a long running joke. But there may be some truth in it. Our society has no big problem with men becoming fathers in an entirely pain, and often effort, free way. But with women there is still this lingering feeling that we should be martyrs for our children. Of course most of us would lay down our lives to save them without thinking twice, thankfully we rarely need to. Yet our image of a good mother is still someone who gladly endures pain and exhaustion and gives up all her own desires and ambitions for her child. We can talk about “me time” and “self care” but often only as a guilty luxury. This is the backdrop to choice and the stigma attached to it. A friend who had an epidural in labour explained to me why she had to, she hadn’t planned to, she’d tried so hard without… She couldn’t just say, it bloody hurt and she wanted to the pain to stop. That didn’t seem like an ok choice to her. We have never had so many options for childbirth. They all carry risks and benefits but overall, bringing our babies into the world has never been safer. Yet, as a society we seem squeamish about embracing choices for women which invoke not God or nature but human technology and science. To truly embrace choice we need to put aside our age old prejudices and fears and take a cold hard look at the world we find ourselves in today. Maternal request elective C sections and all. Will everyone have a choice? We also need to ensure, not just that all choices are acceptable, but also that they are actually available. One of the most popular proposals in the review was that women should have greater continuity of care. Being looked after before during and after birth by an individual midwife who worked as part of a small team. I’ve been lucky enough to experience this model of care (and it was infinitely better than the ad hoc, whoever is about at the time service I got with my first pregnancy). But as a high risk mum I was very very very fortunate to be able to access it at all. Ordinarily in my area these “case load” midwives are reserved for those living in very specific areas, who were low risk, want a home birth and sufficiently in the know to get on the list the minute they get a positive pregnancy test. In effect it’s an NHS service used predominantly by the healthy and fairly wealthy. The £3k budget to buy maternity services could get over this inequality problem but the review states that it shouldn’t end up costing the NHS more. So where are all these caseload teams going to come from? If a type of care widely demanded and held up as a gold standard can be achieved for free why the **** has it not happened already? Even if it was cost neutral to set up more caseload teams would there be enough midwives willing to do it? Labour doesn’t happen to a rota and it doesn’t fit into fixed length shifts. Caseload midwives need to be on call at all hours of the day and night – they also need to be able to look after their own families and you know get some sleep. It might not be be an appealing or practical working pattern for all. Perhaps more cynically I also wonder how many midwives would be willing to work this way for high risk women who were going to give birth in hospital. I once considered hiring an Independent midwife but almost every single one I looked into talked about specialising in home birth, or championing normal, physiological birth. I needed someone who would champion my decision to have an elective repeat C section and a boat load of drugs so I gave up. But I can see the appeal of working with home birth mothers, the midwife can build a relationship where she is the primary care giver, where it is her personal skill and knowledge which will guide a mother through. Working with high risk mums and hospital births means relinquishing autonomy and sharing that relationship with obstetricians and other specialists. With all these potential barriers I wonder if caseload care will ever really be available to all women. The review itself is a little vague on this and leaves it up to CCGs to decide whether all women should get the £3k budget or if it should be “restricted to women receiving standard care”. I was able to ask Baroness Cumberledge, the chair of the report, about this in a Mumsnet chat last week and she confirmed that different CCGs may prioritise different groups of women. So caseload care may still only be a choice if you are low risk and planning an out of hospital birth. Not much help if you know you’ll need a C section or that your sick baby will need specialist care from the moment it’s born. Which brings me to my final concern. I am all for choice and all for continuity of care but if there is to be no extra money and these enhanced services are only to be offered to some low risk women – what will be leftover for everybody else? Will this draw money and midwives away from the already struggling hospital units that many women need? I hope that the recommendations from the Maternity Review will be implemented, but I hope they extend to the full scope of maternity care and the needs of all women. Improving access to home birth and midwife led units is great, but choice is meaningless if you can’t have the options to want or need. For me the report was worryingly quiet on the options that matter to many women, improving hospitals not just abandoning them, ensuring access to pain relief or C sections, making sure high risk mums aren’t bounced from one health care professional to another at every appointment, etc. etc. If we’re going to call it choice, let’s make it real choice and for everyone. PS there are a raft of other issues I could bring up about the maternity review and a lot of aspects of it I agree with. I’ve focused on the issue of choice for for those not planning home/ midwife unit births only because it seems to be an area that hasn’t got as much coverage as some other concerns. Next: Next post: Would Women Be 50% Better Off Not Getting Their Health Facts From Jamie Oliver?